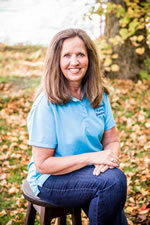 Mary is a Licensed Dental Assistant and has been working with Dr. Mike since 1979. She is married to Alan and they have four children, Stephanie, Jackie, Juliana and Mark. Stephanie, Dustin, Maggie and Matthew live in Perham. Jackie, Jeremy, Braylon, Mackenna and Brody live in Renville. Juliana, Tony, Callan and Maren live in Willmar. Mark is in college at St. Thomas and married to Christina. Alan and Mary's favorite time is to be with their kids and grandkids. Joani is a Licensed Dental Assistant from the local area. 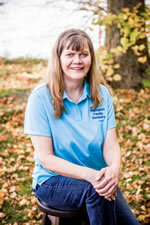 She graduated from Moorhead Technical College in 1992 and joined Hamann Dentistry in June of 2010. Joani is the mother of two beautiful daughters who keep her hopping! She loves working with children and caring for others, and she looks forward to working many more years at Hamann Dentistry. 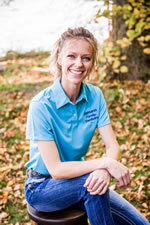 Kristie joined the team in 1986. She achieved a Dental Assisting certificate from NDSCS in 1981. 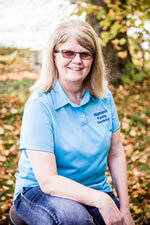 She then attended the University of MN-Duluth from 1982-1985 for Dental Hygiene. Kristie is married to Ken and has 2 children, Lindsay and William. 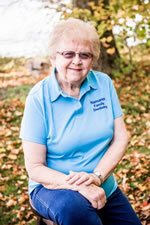 She has lived in New York Mills for 33 years. Kristie enjoys camping, golfing, bowling, painting and drawing and has 2 pets, Sam, a golden lab, and a cat named Knobz. Lorrie is a Registered Dental Hygienist. 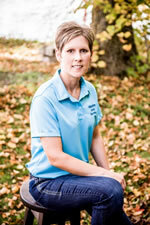 She graduated from NDSCS in 1994 and has been employed for Hamann Dentistry since 1995. Lorrie is married to Lance and they have three children, Chandler (Megan), Leighton and Braylon. Lance is a teacher at Heart of the Lakes Elementary School. Most of Lorrie and Lance's free time is spent at sporting events cheering on their boys and enjoying the great outdoors! Georgia has been with Hamann Dentistry since 1976. Her husband is Tom and they own Genes Sport Shop in Perham. Her children are Nick, Eddie and Alison and she is grandma to Austan, Dylan, Mira, Ethan and William Adamczyk. Georgia enjoys spending time at the lake fishing and swimming as well as fun times with family and friends! Vila started working with Dr. Mike in 1974 and is like the energizer bunny, she just keeps going and going. She is the mother of Nancy, Sue, Jane and John. Tricia Hamann is married to Dr. Mike and is Dr. Brooke's mom. She received a B.S. Degree in Elementary Education from the University of Minnesota and an M.A. Degree in Education from Hamline University. She was an educator and spent 25 years coordinating and teaching in the Perham-Dent Schools Gifted and Talented (Enrichment) Program. 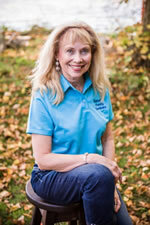 She is a consultant and public relations director for Hamann Dentistry, has been working part-time at the dental office since 1974 and is an Ambassador for the Chamber of Commerce. Besides Dr. Brooke, she has two other daughters, Shayne (Dan) and Natasha (Karl) and seven grandchildren- Drake, Dylan, Savannah, Kadence, Landon, Skylar and Slade. She enjoys writing, exercising, genealogy, Northern Minnesota lake country and spending time with her grandchildren, mom (Mindy), family and friends as well as spending time with their new golden retriever, Harper Lia. © Copyright 2012- Dental WebSmith, Inc. and Michael Hamann, D.D.S., P.A. All rights reserved worldwide.